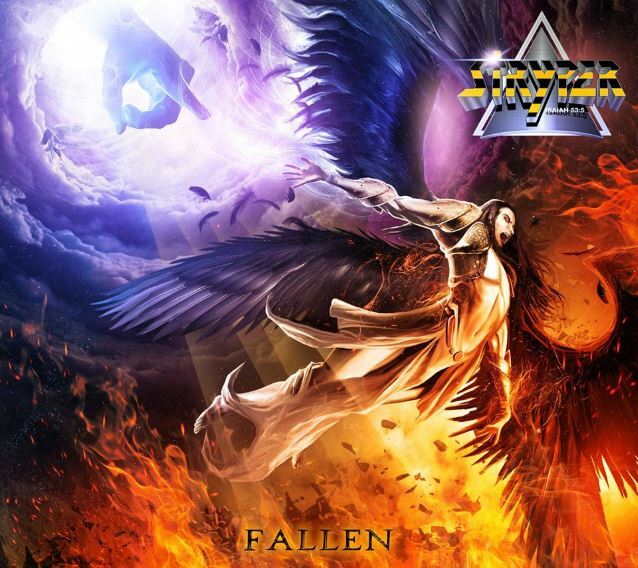 STRYPER's new album, "Fallen", entered The Billboard 200 chart at position No. 43 with first-week sales of just over 10,000 units — nearly all from pure album sales. The set follows the No. 35-peaking "No More Hell To Pay", which was released in 2013. "Fallen" was released on October 16 via Frontiers. 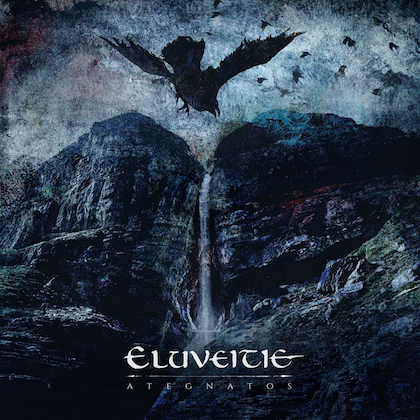 The CD was tracked at SpiritHouse Recording Studios in Northampton, Massachusetts and includes a cover version of the BLACK SABBATH classic "After Forever". 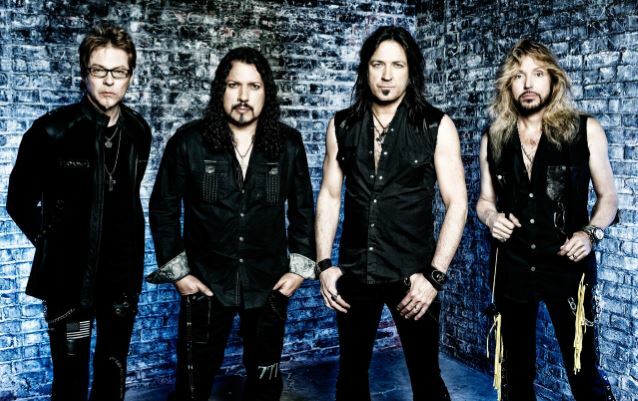 In a recent interview with Audio Ink Radio, STRYPER frontman Michael Sweet stated about the musical direction of "Fallen": "It's similar to the last album but a little different. We tuned the guitars down on a few more songs than on the last album. It's a heavier vibe. I did a co-write with Clint Lowery of SEVENDUST on 'Yahweh', and that song turned out really different in a great way. We're never going to be as heavy as METALLICA, but STRYPER's roots are tied to heavy metal. We grew up on IRON MAIDEN and JUDAS PRIEST and VAN HALEN and the SCORPIONS. Over the years, we ventured a short distance from that background with pop songs and ballads, which we love doing, but we like to be heavy." Asked if he feels STRYPER has influenced other Christian hard rock and metal bands to stay true to their faith and musical vision, Sweet said: "I hope so. We've always been a band that's gone out of our way to wave the flag that God is cool, and not only cool, but the Creator of all things. 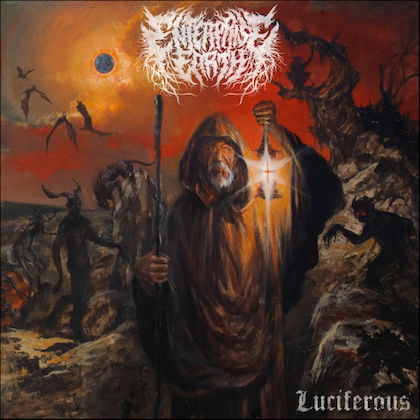 Aside from that, people say it's an oxymoron to mix metal with Christian lyrics, and we're trying to break that apart and destroy that mentality because it's just not true. I feel God created all things, and therefore, He created music. So, it makes perfect sense to me to mix the two. It should be done more than the devil and metal being mixed, in my opinion, but for some reason, people have this thing that metal is all about the devil. It's ridiculous." 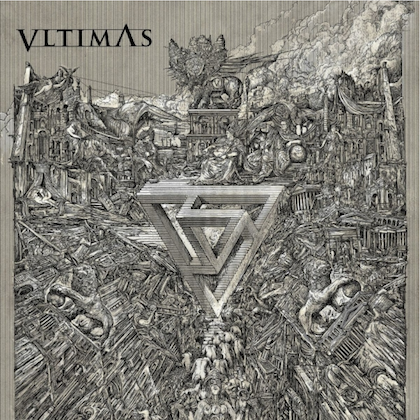 The cover artwork for "Fallen", which can be seen below, was designed by Stanis Decker, who worked with STRYPER on 2013's "No More Hell To Pay".